Fuller, B & Grumley, L (2004). 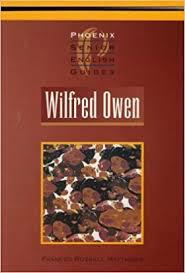 2004-2006 2 Unit HSC Standard English. Seven Hills NSW: Five Senses Education Pty Ltd. 250-258. Stafford, Heather. 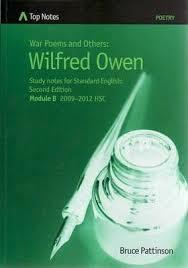 The poetry of Wilfred Owen, a sentimental rebel Metaphor, No. 1, Feb 2015: 37-43.